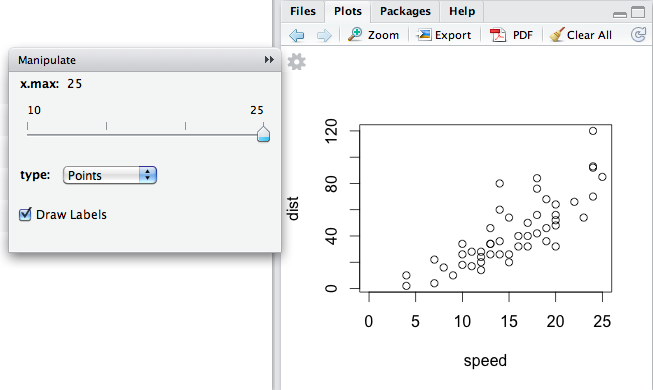 RStudio works with the manipulate package to add interactive capabilities to standard R plots. This is accomplished by binding plot inputs to custom controls rather than static hard-coded values. The manipulate function accepts a plotting expression and a set of controls (e.g. slider, picker, or checkbox) which are used to dynamically change values within the expression. 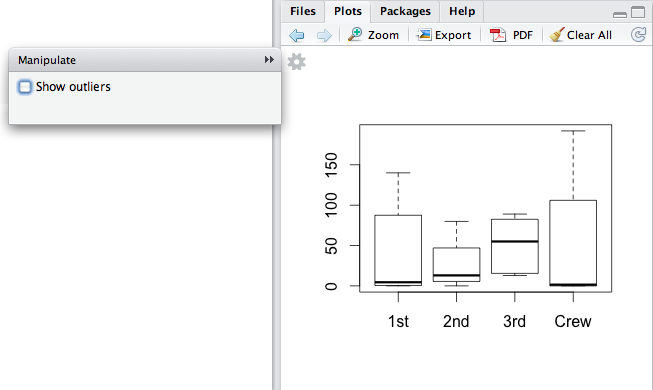 When a value is changed using its corresponding control the expression is automatically re-executed and the plot is redrawn. 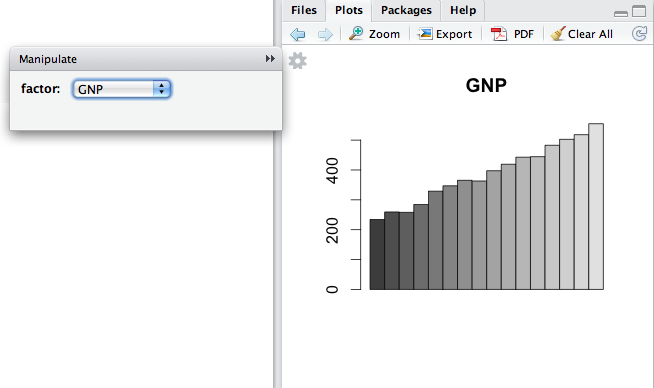 After this code is executed the plot is drawn using an initial value of 1 for x. 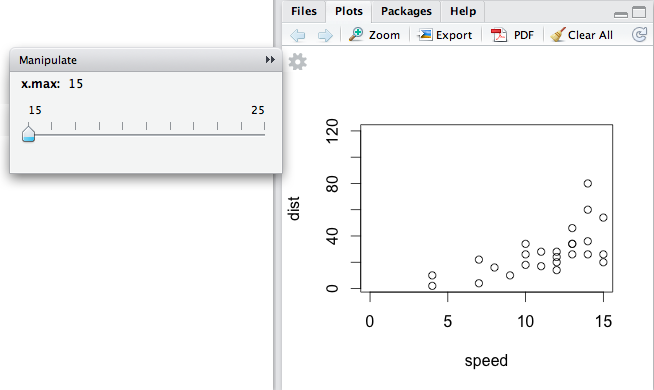 The plot includes a gear icon, which you can click to open a slider control that changes the value of x from 1 to 100. Slider controls also support custom labels and step increments. Picker controls support arbitrary value types, and can also include custom user-readable labels for each choice. The manipulate package documentation contains additional details on all of the options available for the various control types.